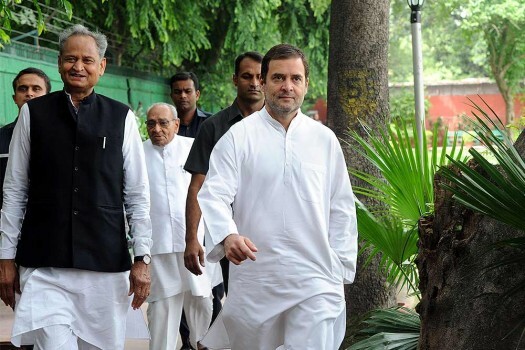 Congress President Rahul Gandhi with Ashok Gehlot and other leaders arrives for the Congress Working Committee (CWC) meeting, at AICC in New Delhi. 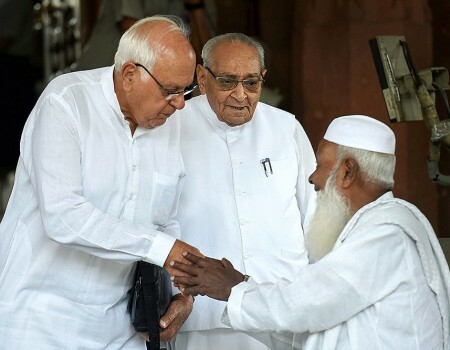 National Conference leader Farooq Abdullah and Congress leaders Motilal Vora during the Monsoon session at Parliament House, in New Delhi. 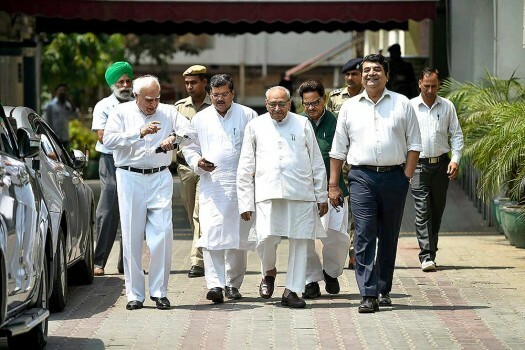 Senior Congress leaders Kapil Sibal, Motilal Vora, R P N Singh and other leaders leave after meeting with Election Commissioner of India at Nirvachan Sadan in New Delhi. 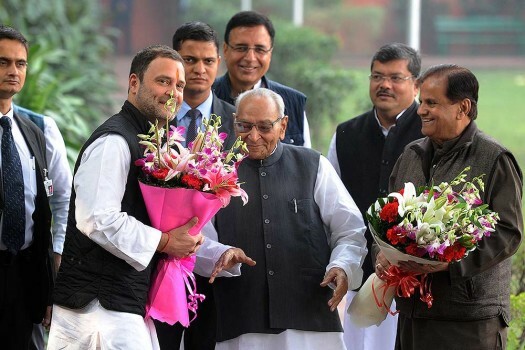 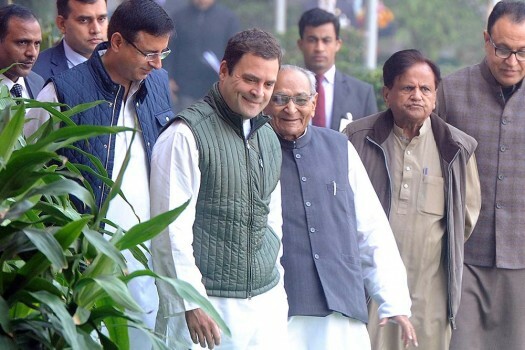 Congress president Rahul Gandhi with Senior leaders Motilal Vora and Ahmed Patel at the AICC headquarters on the occation of party's 133rd Foundation Day, in New Delhi. 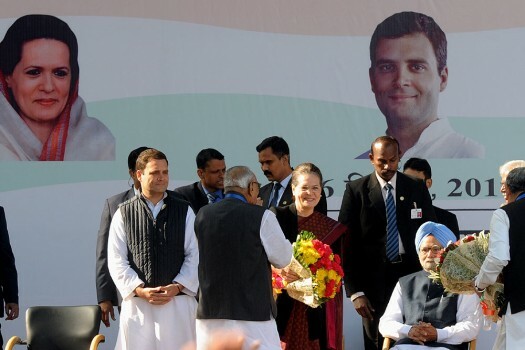 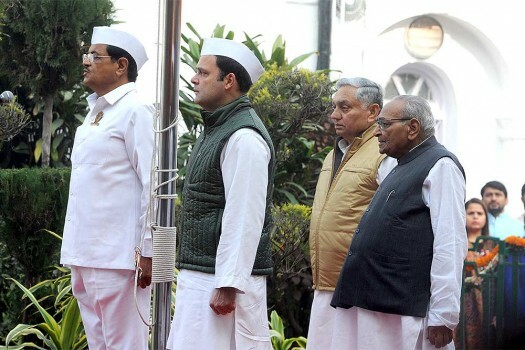 Congress president Rahul Gandhi hoists the party flag at the AICC headquarters on the occation of 133rd Foundation Day of Indian National Congress, in New Delhi. 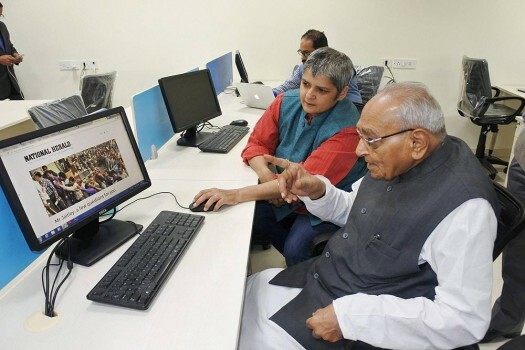 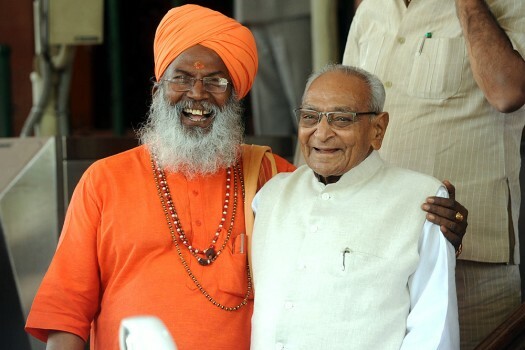 BJP Lok sabha MP Sakshi Maharaj with Veteran Congress leader Motilal Vora at Parliament House during the budget session, in New Delhi. 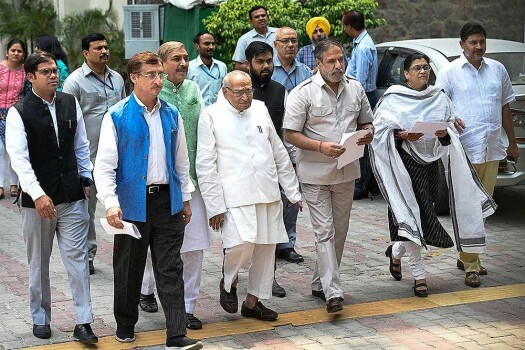 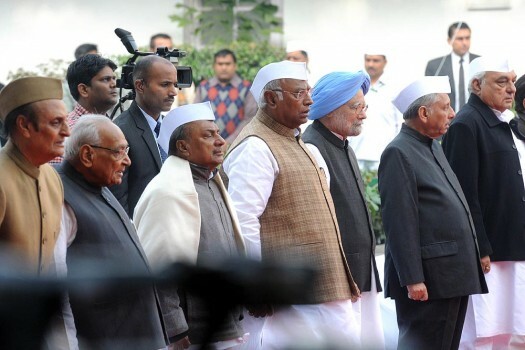 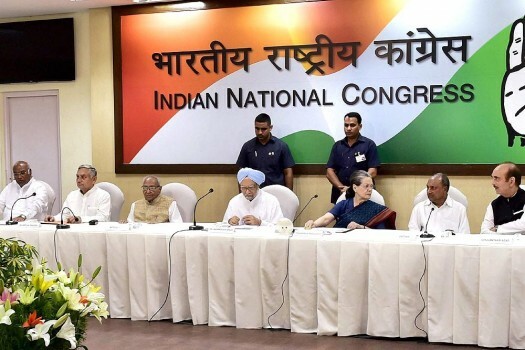 Congress leaders at the AICC headquarters on the occasion of the party's 132nd Foundation Day, at AICC headquarters in New Delhi.